During my holiday I read a book on “Cloud Computing: Concepts, Technology & Architecture”. I found this book as an excellent resource for IT professionals and managers who want to learn and understand cloud computing, and who need to select or build cloud systems and solutions. It lays the foundation for cloud concepts, models, technologies and mechanisms. As the book is vendor-neutral, it will remain valid for many years. I will recommend this book to Oracle customers, partners and users for their journey towards cloud computing. 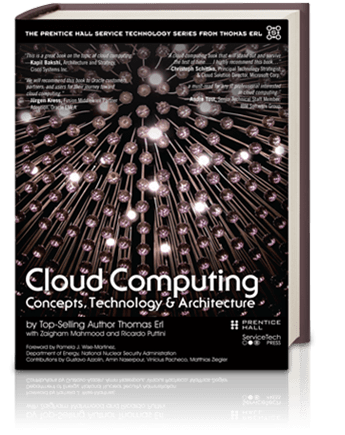 This book has the potential to become the basis for a cloud computing manifesto, comparable to what was accomplished with the SOA manifesto – Jürgen Kress. Clouds are distributed technology platforms that leverage sophisticated technology innovations to provide highly scalable and resilient environments that can be remotely utilized by organizations in a multitude of powerful ways. To successfully build upon, integrate with, or even create a cloud environment requires an understanding of its common inner mechanics, architectural layers, and models, as well as an understanding of the business and economic factors that result from the adoption and real-world usage of cloud-based services. Subsequent to technology-centric coverage, the book proceeds to establish business-centric models and metrics that allow for the financial assessment of cloud-based IT resources, and their comparison to those hosted on traditional IT enterprise premises. Also provided are templates and formulas for calculating SLA-related quality-of-service values and numerous explorations of the SaaS, PaaS, and IaaS delivery models. With over 260 figures, 29 architectural models, and 20 mechanisms, this indispensable guide provides a comprehensive education of cloud computing essentials that will never leave your side. The book is available at Service Tech Books or at Amazon. Looking for additional SOA books or if you have published a book, please feel free to add it to our publications wiki!